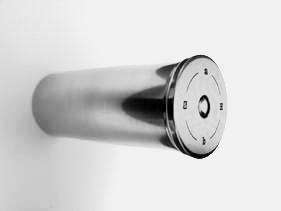 Bore Number of a rifle barrel is equal to the numerical quantity of solid lead spheres of bore diameter which together weigh one pound (7000 grains). Bore and gauge are interchangeable as they relate to caliber. The density of pure lead used to calculate bore diameter is 11.34 grams per cubic centimeter. 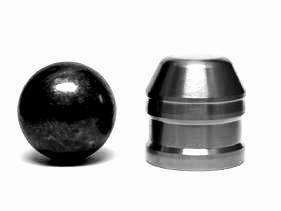 Given this density, a one pound sphere of lead would have a diameter of 1.67 inches the equivalent of 1-Bore.